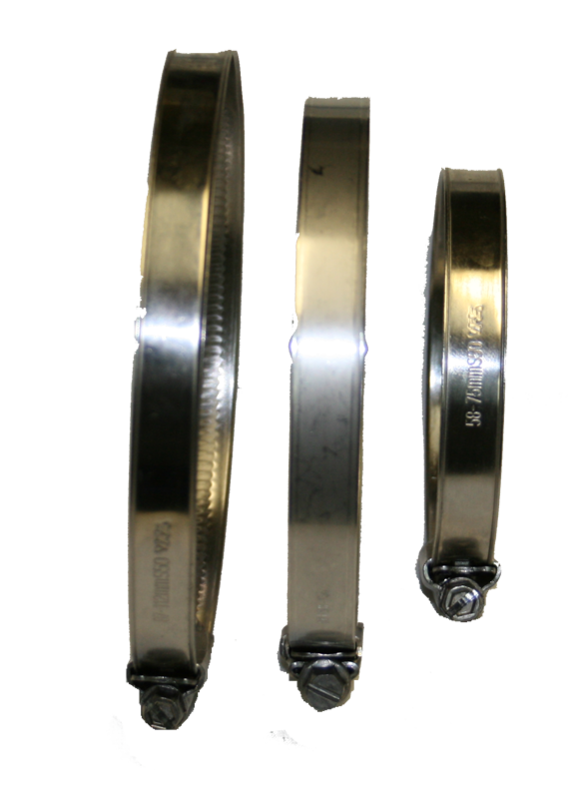 Tides Marine 316-Stainless Steel hose clamps won't mar or tear the hose surface. They require less force to tighten and adjust to variations in the hose diameter caused by changes in temperature and pressure. The standard band width is 0.500 inch. The entire clamp (band, screw and housing) is manufactured from 316-Stainless Steel. To order, specify the hose clamp part number found on the OD (outside diameter) of the hose-end of the SureSeal (or the OD of the stern tube).